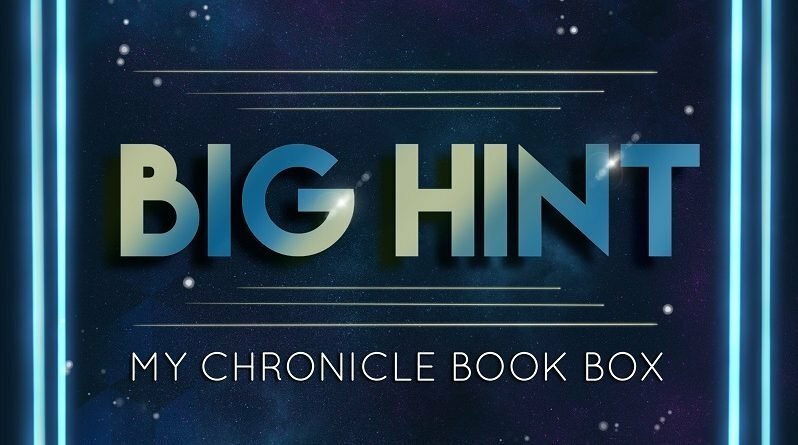 Book hints for the science fiction & fantasy themed May 2019 book subscription box! Part of the fun of our subscription is that subscribers do not know exactly what will be contained in their sapphire blue box until it lands on their doorstep and they unpack and unwrap the contents. 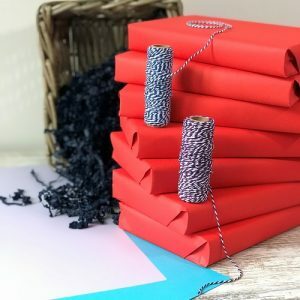 Yet on the other hand, I get so excited about the great books we are going to include and many of you would like an idea of what is coming up so I’m going to give you some clues to all 3 fab books that will be in our May 2019 book subscription box! The first book I’m going to talk about is a hard back, signed by the author and I have it wrapped in red craft paper. This is a brilliant debut novel from a talented young female author in which a group of astronauts set out on a one-way trip to find a habitable planet as an alternative to a dying Earth. It is a character driven novel which will stay with you, when I wasn’t reading it I was thinking about it and the questions it poses! The next book is a beautiful book about witchcraft, love and family in the aftermath of World War II. It’s a moving tale highlighting the strength of women and the powerful relationships between mothers and daughters. The US based author has signed book plates for us and given us a lovely interview. I’ve chosen to wrap these in a lilac coloured paper which ties in nicely with the cover design. Finally, I’ve wrapped the third book in pale blue craft paper and this is another hard back signed by the author. This author has written in various genres and this book is very hard to categorise or describe, which I consider to be a very good thing! It is a fantastical detective story set in Victorian London when curiosities were very much the fashion but it is more than that! The detective duo are otherworldly and the missing child, the subject of their investigation, is not your average child and more akin to a mythical sea creature. This is a beautiful and original book which I can’t wait for you read and will be published in April. You will not want to miss this box! Order yours now.